Upgrade Your Breakfast Omelette — What Vegetables Work in an Omelette at Breakfast? On Upgrade Your Nutrition we are going to be talking about eating veggies at breakfast. Now, for those of you who haven’t seen the previous videos, what we’re trying to do this month is we’ve got 28 challenges of little ways to sneak some extra goodness into your life, be it veggies, or fruit, or freshly prepared meals, with the idea being we’re just going to try adding more good every day. 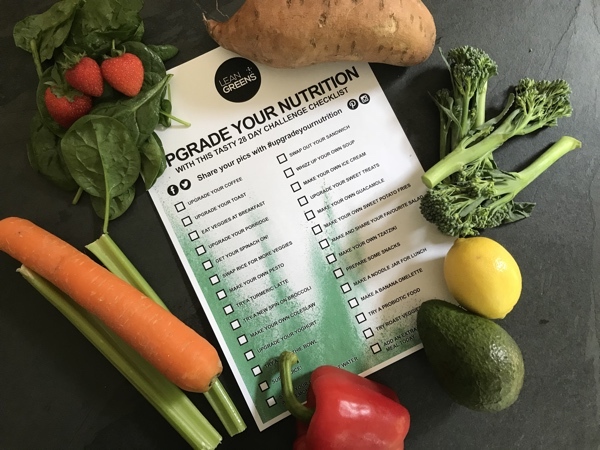 If you want to take part in the challenge, head over to https://leangreens.com/pages/upgrade to get the checklist with 28 upgrades you can try, and we’ll email you ALL the details for the videos and BLOG posts. Years ago personal trainers everywhere seemed to be trying to get their clients to eat a massive stir fry for breakfast and most people you know if they manage a cup of coffee and a piece of toast they’re doing quite well. So the trainers were fighting a losing battle really. And I must admit sometimes I can have smoked salmon, scrambled eggs and some broccoli for breakfast. The broccoli that I did in the video the other day, the one with the walnuts, that’s really nice for breakfast. But for most people the easiest way of getting veggies in the breakfast is to have an omelette. Three eggs, a little bit of feta cheese and I’ve got leftover roast Mediterranean veg from the other day. So just adding a bit of chorizo for a little bit of meat in there and it gives it a little bit of flavour. A word about eggs because eggs is something else you can upgrade. 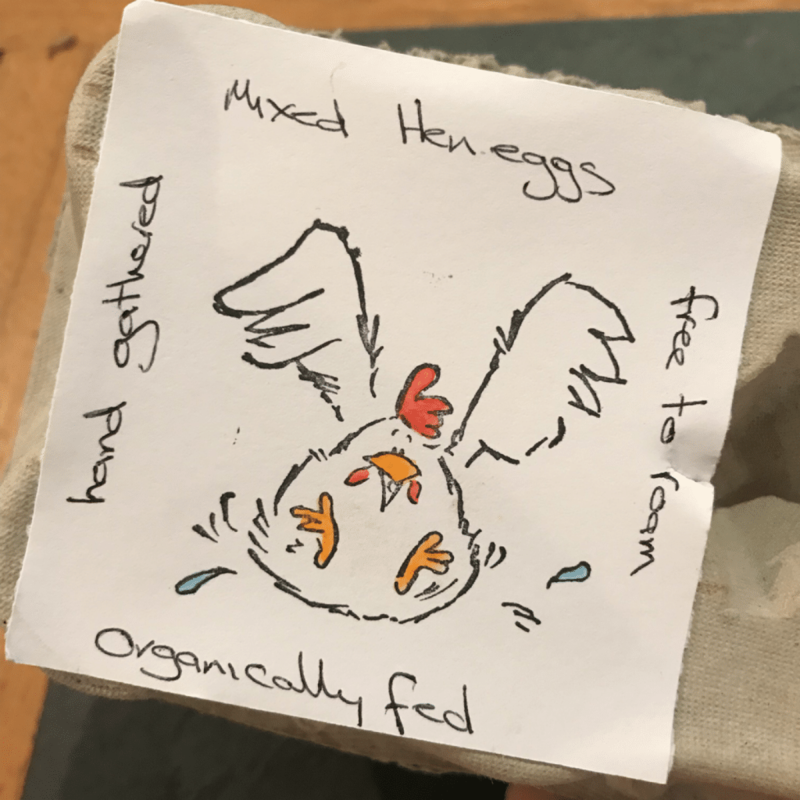 Now my favourite eggs are from a lady who lives down the road who has, “Hand-gathered free to roam organically fed eggs.” And they taste amazing and they poach really well. And if you ever have any trouble poaching eggs it’s probably because you’re using ones from the supermarket and they’re just not fresh enough. To be able to poach eggs you need really, really fresh eggs. The downside to that is I think the really fresh eggs don’t scramble very well so my other favourite egg at the moment is the “posh” eggs from Sainsbury’s and they just taste really nice. 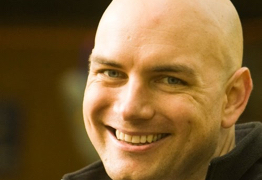 If you don’t like eggs, a lot of people say they don’t like eggs, try a different egg. It may be that it’s just been, you’ve been trying the wrong eggs because fresh eggs have a massive difference in taste. What other things can you add to an omelette? You could add asparagus instead of roast veg some days, that’s quite nice in an omelette, just chop it up, stir fry it a little bit beforehand before you add your eggs. Spinach goes lovely in a omelette, you can either mix it in with the egg or you could just rest it on top, you can also have it as a salad. My favourite is peppers, always peppers, onion and courgette. Mushrooms. You might spot during this challenge that there’s no mushrooms make an appearance and that’s because they are the Devil’s creation, the one food I absolutely can’t stand and Tim loves them. So whenever we go anywhere, or out for breakfast or out for dinner Tim orders things with mushrooms in because I don’t have them in the house. If you want to sneak in some extra veggies in your day, have an omelette on a morning.